Best Western Hangzhou Meiyuan hotel | Low rates. No booking fees. Best Western Hangzhou is located in Hangzhou, just 1.5 kilometers away from the Zhejiang Natural Museum. It features an on-site fitness centre, 4 restaurants and rooms with free Internet access. Book a room at Best Western Hangzhou Meiyuan hotel online and save money. Best price guaranteed! 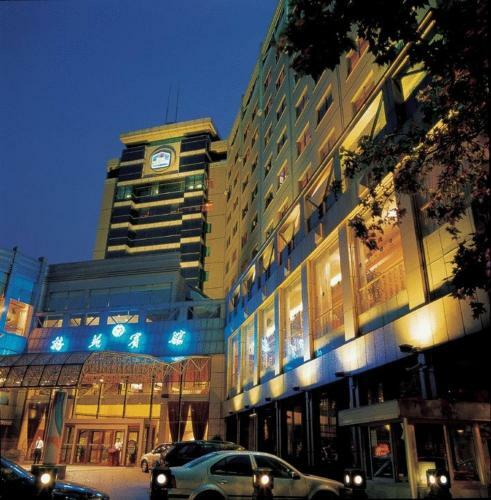 Best Western Hangzhou Meiyuan hotel: low rates, no booking fees. The hotel is located at 511 Moganshan Road in Hangzhou, Hangzhou Shiqu, Zhejiang, China – see Hangzhou map ». Hotels in the neighbourhood of the Best Western Hangzhou Meiyuan hotel are sorted by the distance from this hotel. In the following list, large airports nearest to Best Western Hangzhou Meiyuan hotel are sorted by the approximate distance from the hotel to the airport. Airports near to Best Western Hangzhou Meiyuan hotel, not listed above. In the following list, car rental offices nearest to Best Western Hangzhou Meiyuan hotel are sorted by the approximate distance from the hotel. The following list shows places and landmarks nearest to Best Western Hangzhou Meiyuan hotel sorted by the distance from the hotel to the centre of the listed place.